I admit I've been on a noodle kick lately but I was dying to try this recipe I came across on Pinterest. Maybe it's because my location here in Texas leaves me without the millions of Asian food restaurants I had in Cali but I have been diving into recreating Asian flavors at home. I usually make my Asian Noodle Salad with Peanut Sauce but I needed options. You can pair this salad with anything you want. 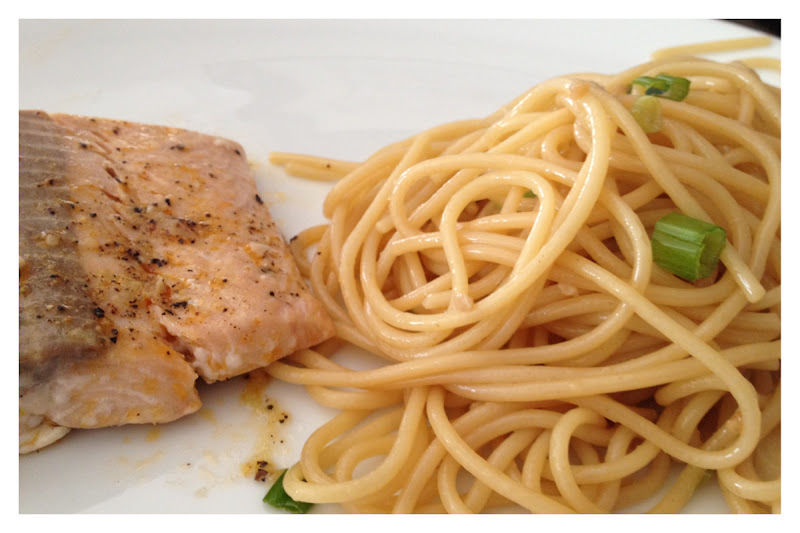 I paired it with salmon but the sesame noodles are amazing on their own, and I must say I prefer them cold. 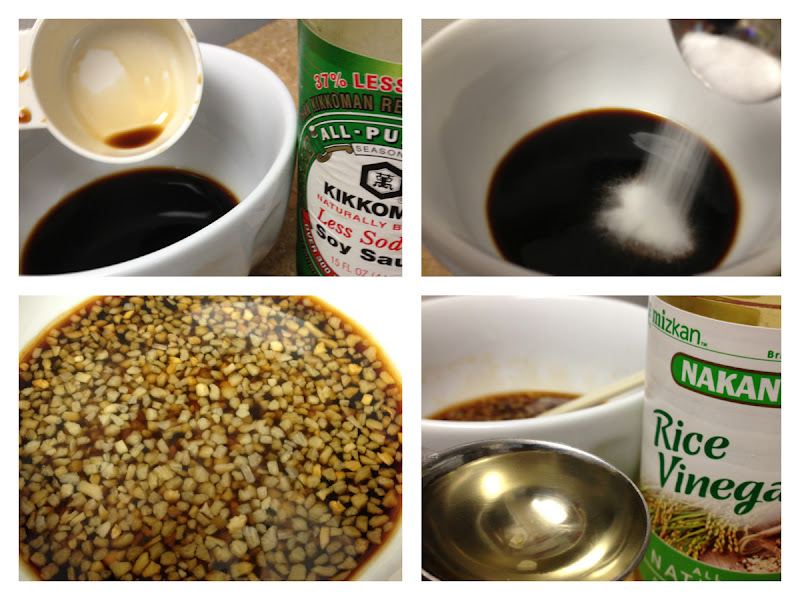 1/2 teaspoon of chili oil. You can add more to taste if you'd like. 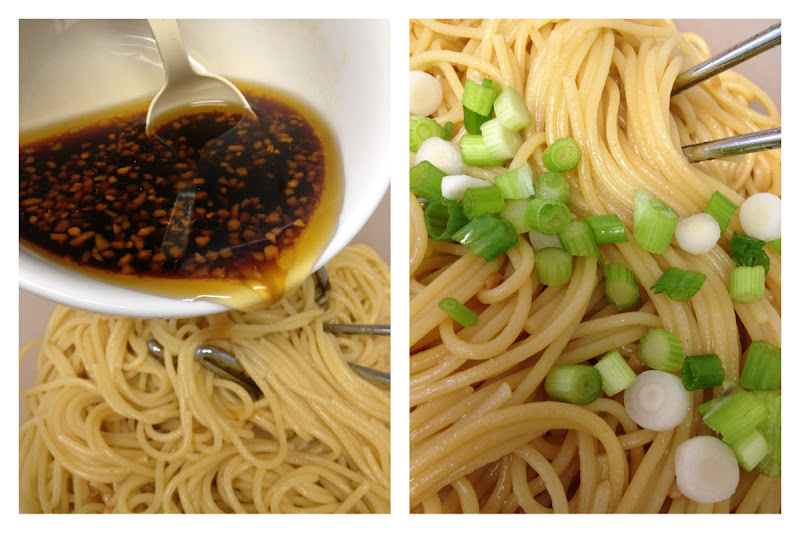 You know the drill : mix all the ingredients in a bowl and then pour the sauce over the noodles. With the holiday weekend coming up, this would be a great salad to bring to a backyard party but I would definitely serve the noodles cold. They are really delicious and a refreshing dish especially on these hot summer nights. What's you favorite Asian food dish? sounds and looks very good laura! i like a lot of asian food. I've been eating a lot of raw greens/veggies and chilled foods. I am loving your new food pics and recipes! Not too mention the photo layouts - so clean and pretty!! LOVE!! YUM. Looks so good. I love Asian food. I love so many things about it, especially the spice! I make a pad thai that is similar to this. I will try your recipe. I make sesame noodles all the time! Normally I add veggies to,call it a stir fry :) also I have tossed roasted chicken with this dish! I wish my husband would eat salmon, because I love it and that salmon looks fantastic! Your noodles look delicious and are perfect summer fare I bet they would be good cold too. A must try - so easy too. Such simple ingredients all that I have at home... totally trying this one out!